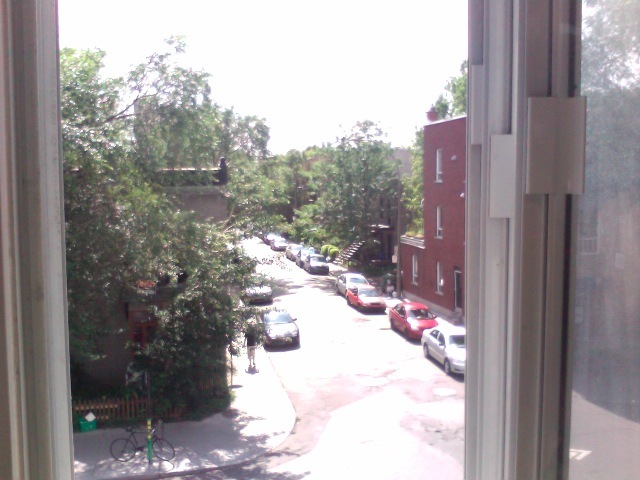 Montreal, Canada – 10: 44 a.m. Thanks to everyone who’s taken the time to send in pictures. I’ll be publishing them at the rate of one per day this week, so do hang tight. Want to share the view from your window? Take a snapshot and send it to [email protected] . Include the place and time. Don’t try to pretty it up. And make sure the window frame is visible. Post 7 of 100. Now we’re cookin’ with gas.